Dog showing is fun and dog show people can be very helpful and freindly. Dog Shows are known as "Conformation Shows" as dogs are assessed on their conformation to the set Breed Standard. There are many Clubs which conduct Dog Shows either for specific breed/s or for All Breeds. 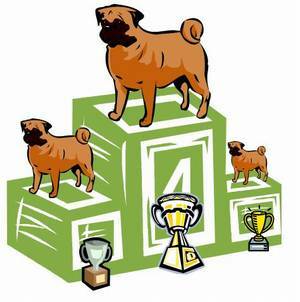 Dog Clubs can also hold fundraising events like Fun Days, Quiz Nights, Breed days, etc.